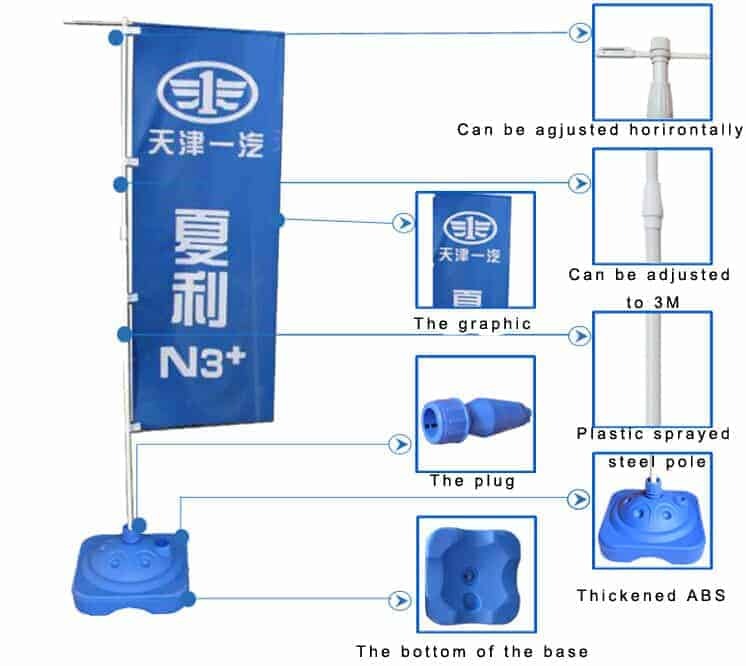 3 meter outdoor flag pole with Water Base. 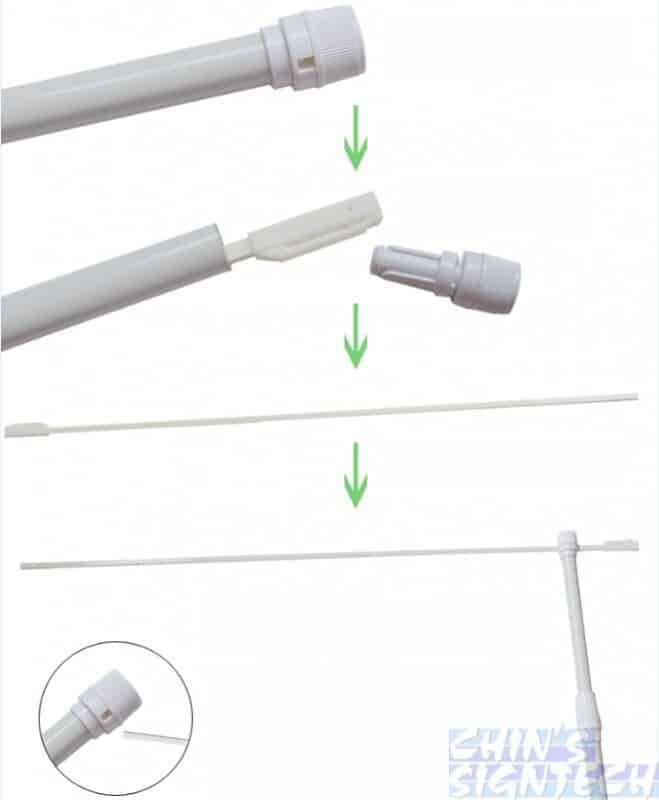 These telescopic flagpoles are ideal for outdoor events, conferences, sports events. Lightweight, retractable and portable. Easy to set up in minutes. 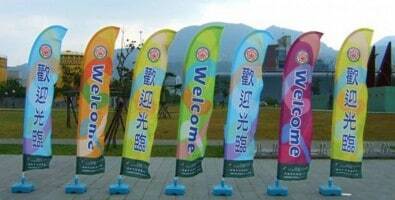 Flag printing can display up to 85 cm width x 260 cm maximum height. 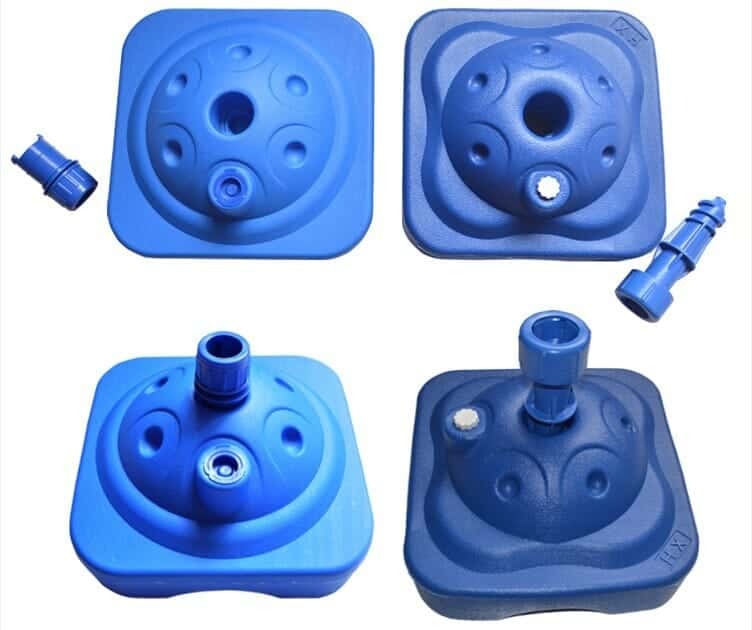 Fill base with water or sand for additional weight and stability during outdoor use. 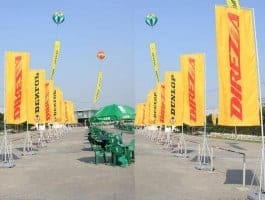 Flying banner printing can be on single sided or double sided fabric. Not ideal to use PVC banner. 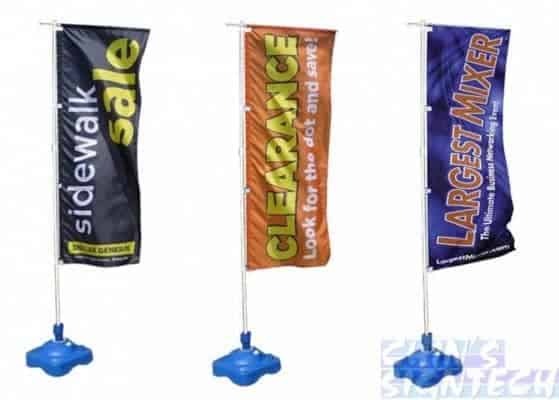 We provide the flagpoles with a folding design to make your display portable! 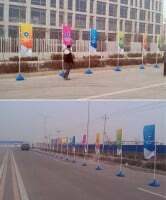 For this reason, these flagpoles are therefore perfect for use within trade show displays! 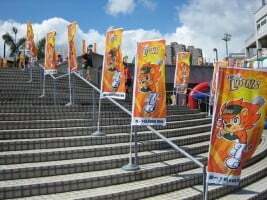 The flag is held high by a top bar and is visible to people 3 meters away. Featuring a durable plastic base, these banner sign stands are designed to be used outdoors. To increase stability in outdoor conditions, simply fill the base with either water or sand to ensure your displays won't tip over. 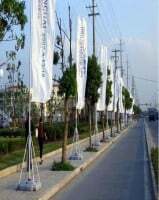 Examples on how these 3 meter Flag Pole get attention and bring more customers inside your store or business. 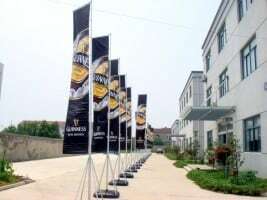 Events flag banners are perfect for use in lobbies, show rooms, entry ways and even outside your business. Display systems available for renting.